The explosion of coworking spaces marks a new era for working in the city. 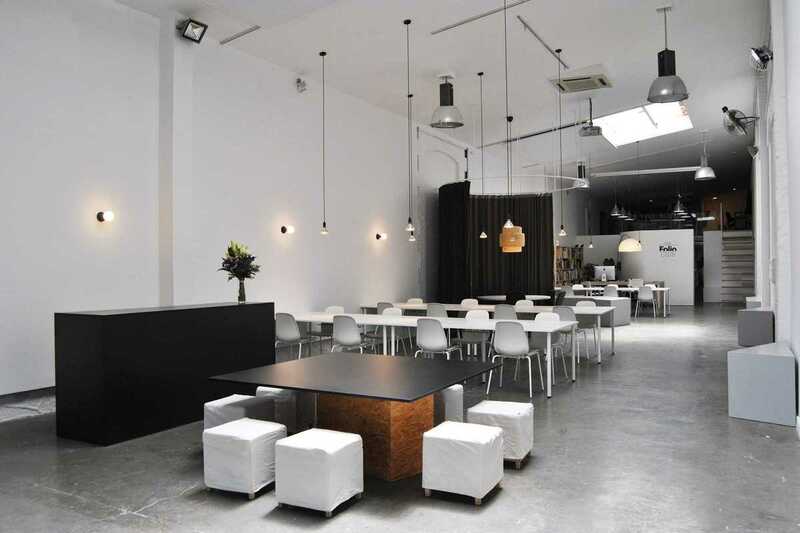 In Poblenou, a neighborhood well-known for creativity and innovation, The Folio Club has expanded its roster to invite creative professionals seeking a shared space to work. The Folio Club has supported artists with its personal approach to graphic projects since opening its doors in 2014, when it was conceived as a printing and exhibition space. Housed in a renovated, 250 m2 flour factory dating back to 1900, architect and designer Skye Maunsell (Pasaje Montoya) has reimagined the space with references to the mechanical printing process and minimal, modular forms, like those by Richard Serra. And now the additional space available to creative professionals will enable The Folio Club to encourage synergies and strengthen the creative ecosystem on an even grander scale.